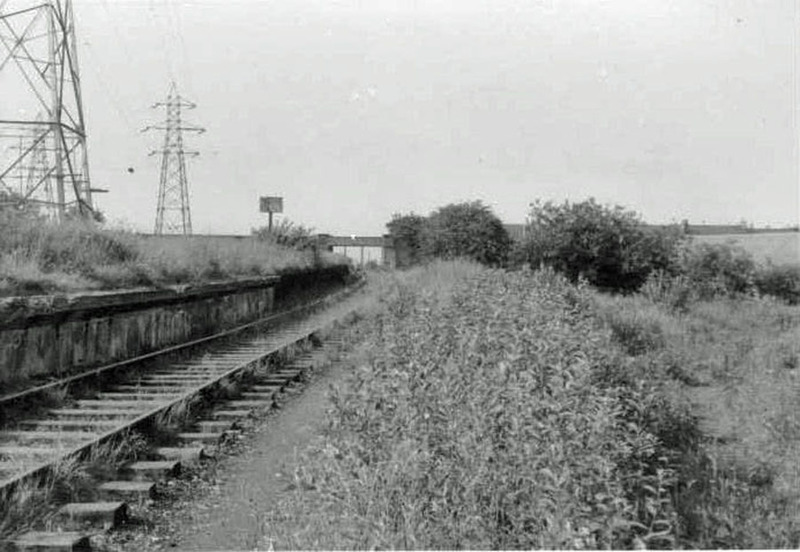 This was the west branch - St James, Ferguslie , Stanely, and Glenfield stations were on this, with sidings to Roots car plant at Linwood , the brick works at Fulbar Road, Chain Road Goods Yard, Meikleriggs Goods Yard and Glenfield bleach works. 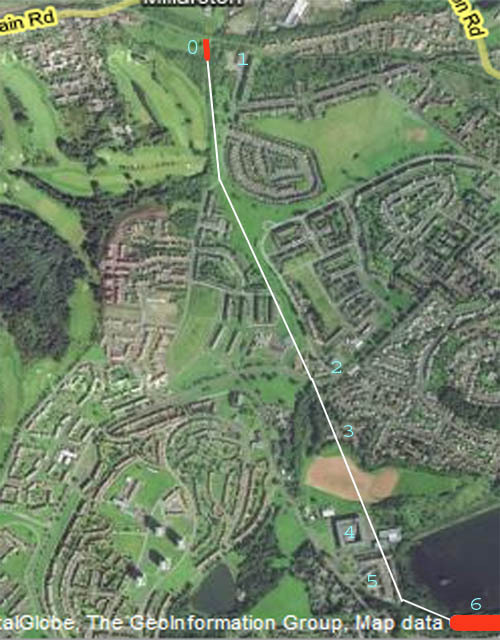 Google Satellite - from St James (top right) to Ferguslie station (bottom left) near Aldi at Linwood Road end. Old railway bridges can still be seen in Ferguslie Park. 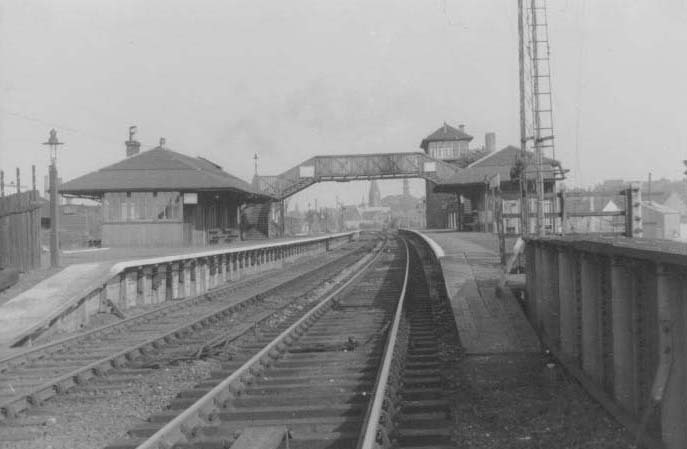 St. James was part of the Paisley and Barrhead District Railway and also on the main Gourock line from Glasgow as it still is. The junction of the two can be seen in the photograph on the left. 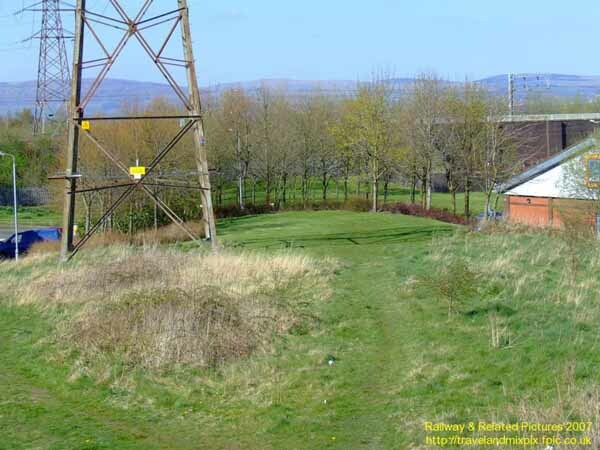 This is the site of Ferguslie Station with the Paisley to Ayr line in background from the cycle track (originally the Paisley Canal Line, which ran above the station). The former Glasgow Corporation tram terminal was on vacant ground to the left out of picture behind Newton Terrace. The Aldi shop on the main road to Elderslie can be seen on the right. The track went over the main road by means of a bridge. 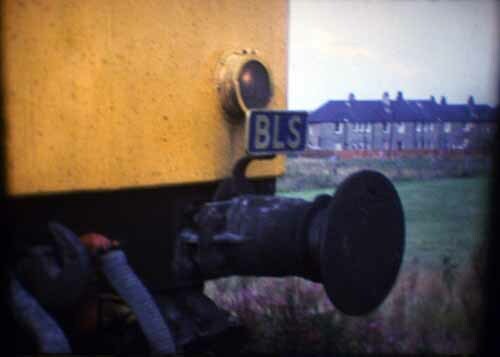 The amazing pictures below were taken at Ferguslie station with the Scottish Rambler in April 1965. The Paisley Canal line is in the background. It looks like an excursion with passengers having a look about. 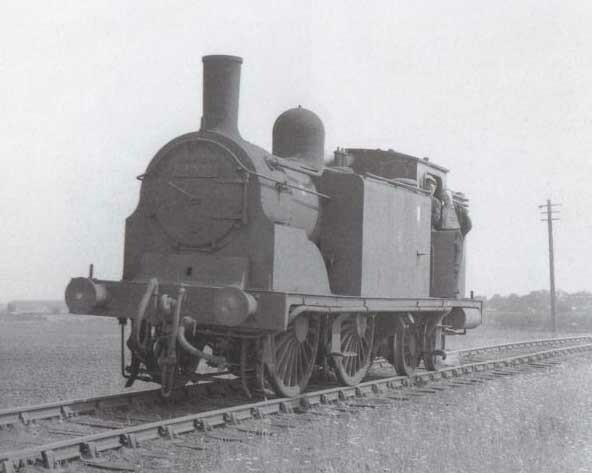 The locomotive was called a 'Jones Goods'. These are photos taken in the 1950s. 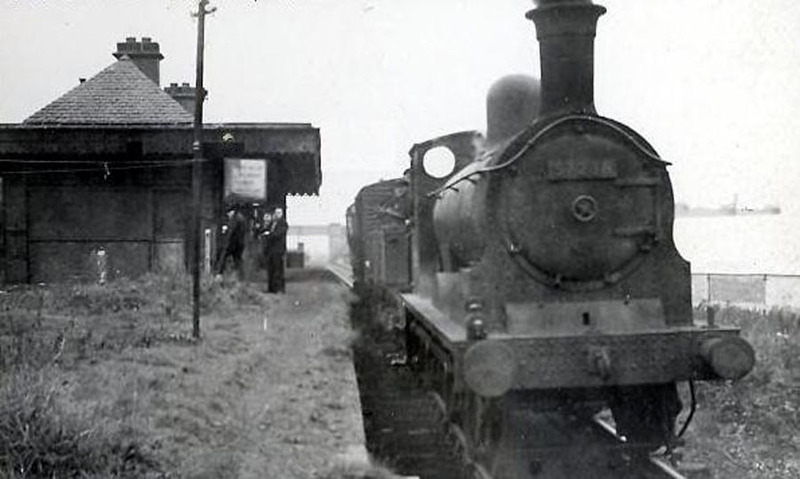 The railway then made its way through Foxbar, running parallel to Fulbar Road skirting Elderslie golf course, along Morar Drive past the Foxbar clinic then behind the telephone exchange, Old Gleniffer High (Camphill) school and Stanely Firs pub on Amochrie Road. According to Alisdair Wham in his book Lost Railway Lines South of Glasgow, Stanely Station was directly to the south (toward the braes) of the castle in Stanely Dam. Vic at paisley.org has kindly allowed the use of the photographs below which show the platfom and an excellent guide to the position of the station and the line. 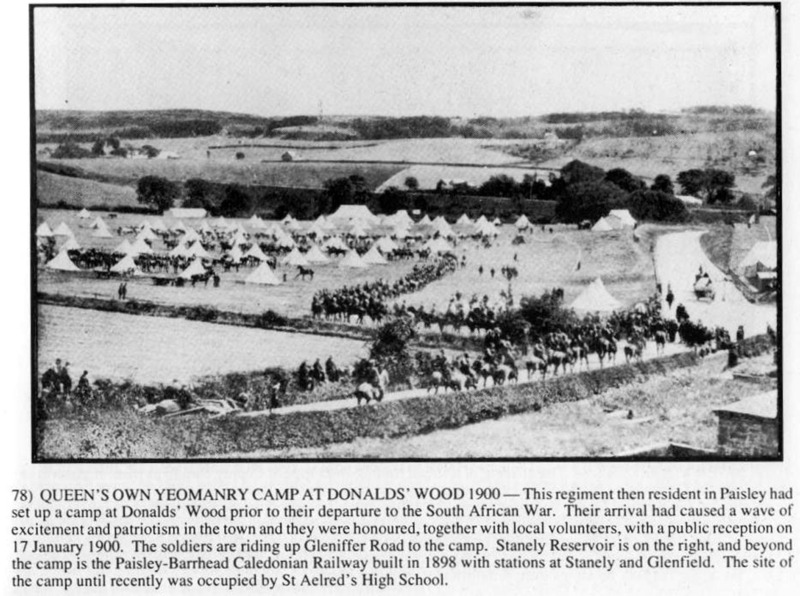 The remarkable picture below is from David Rowand's book 'Paisley Pictorial History' and shows an army regiment camping around 1900 in Donaldswood at what became St. Aelred's school before going to the Boer War. 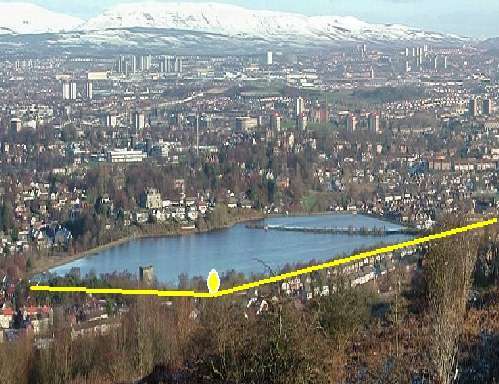 The road in the photograph is Gleniffer Road; Stanely Dam is to the right and the railway line can be seen running along the centre of the picture from right to left. The picture was of the line between Stanely and Glenfield stations. Glenfield would have been just off to the left. 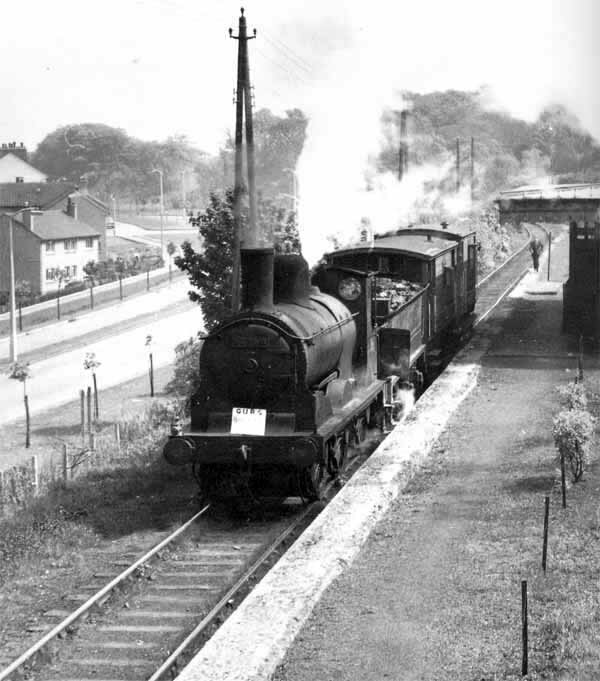 Glenfield Station was on (what is now) Glenburn Road opposite Knockside Avenue (see right hand picture below). Amazingly the station was rented out as a private house while goods trains were still using the line !! Apparently there was a siding into the former nearby bleach works. 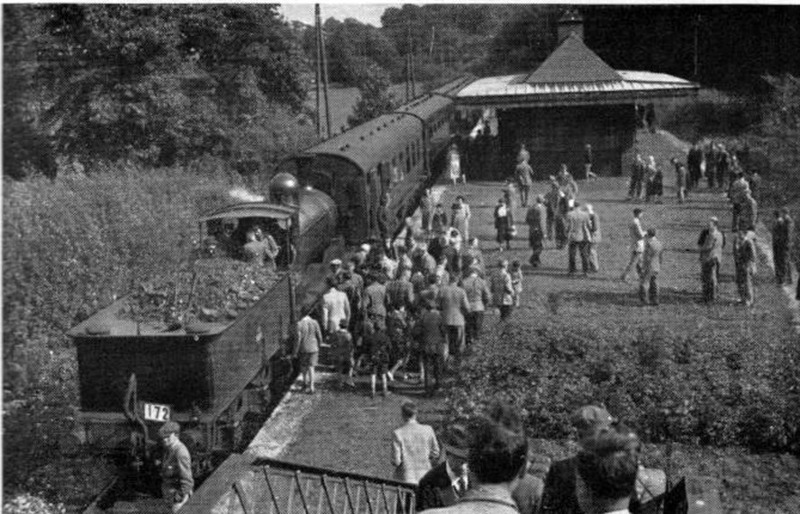 There is an excellent picture of Glenfield Station in another David Rowand book, 'Paisley' with a train carrying passengers in a special train enthusiast excursion in 1951 (middle below). 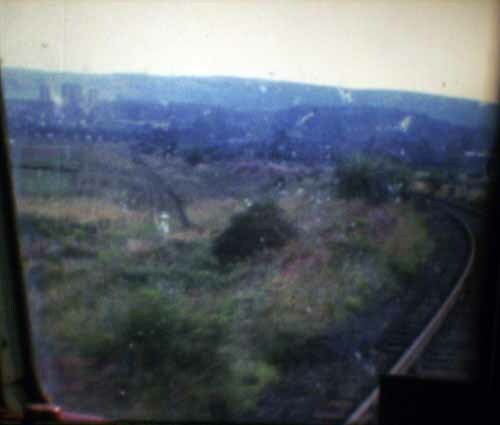 In the right hand photo above, a Glasgow University Railway Society train is running alongside Glenburn Road. 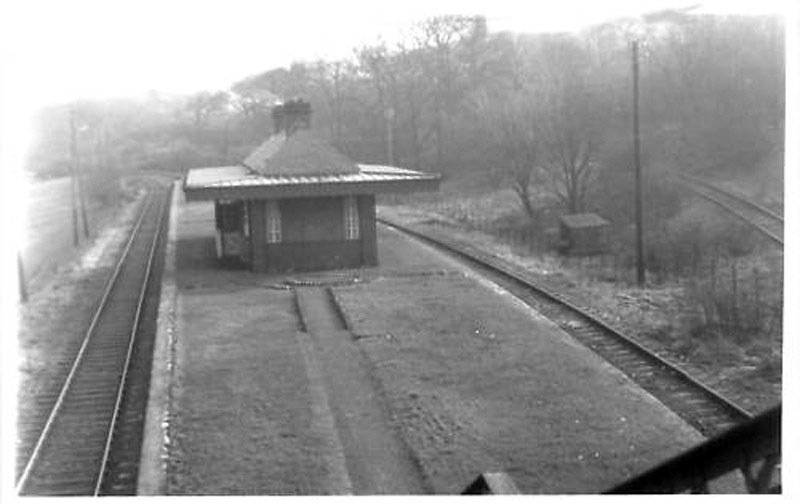 Below are two current views of the station which is easy to find in the trees as the platform is intact and very long. 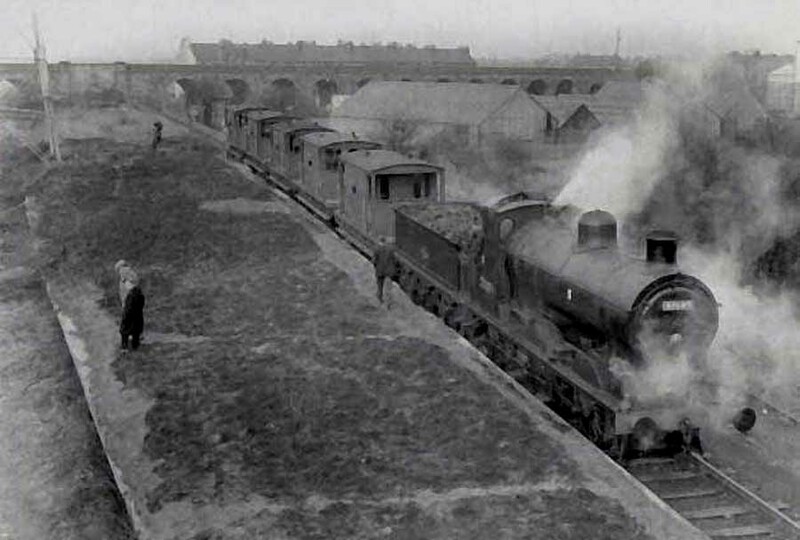 There is a record at the National Archives of Scotland showing that William Fulton & Sons built an embankment at Glenfield Station. 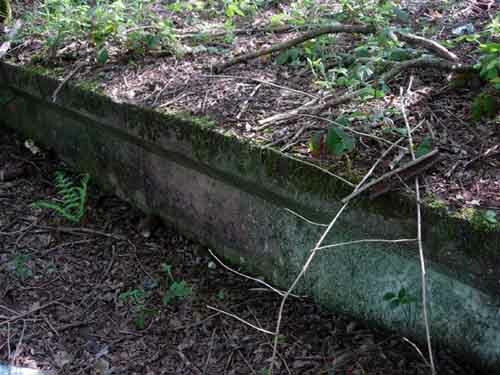 It is believed they used the railway. Here are some local memories. Thanks to Michael Campbell and Tommy from the Paisley.org forum. 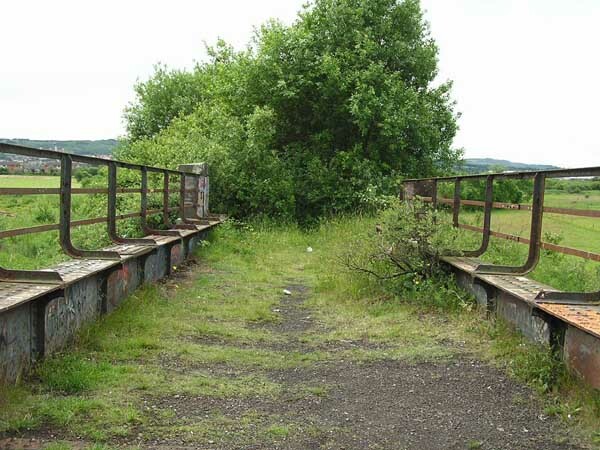 That platform was used by a train which ran between Barhead and Bishopton munitions works,I remember getting a ride on it with my schoolmates when coming home from the Lochfield. 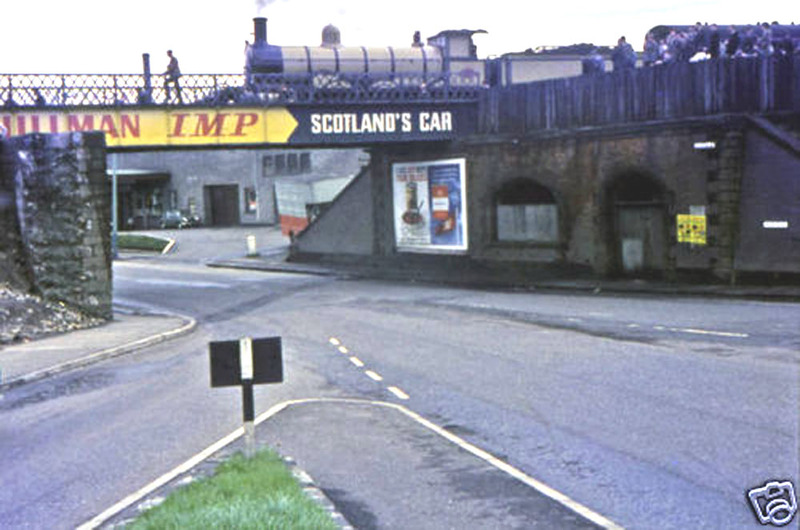 It stopped at the station at Braehead,where the driver and fireman had a cuppa with the people that lived there. 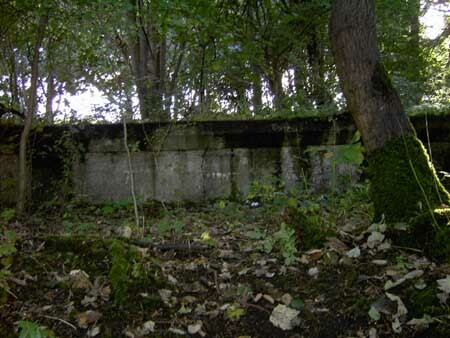 The ash bank at the Fereneze station had pieces of cordite in it,probably from the munitions train,we used to gather it,wrap it in paper and set fire to it,it went off like a squib. John Hasset relates that St Peter's scout troop bought the station at one point with a view to making it their scout hut but it was too much in need of repair and it never came to anything. Below is the station today. 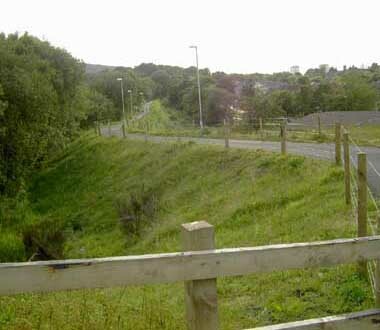 The Glenfield Road to Glenburn Road cycle track is shown below. 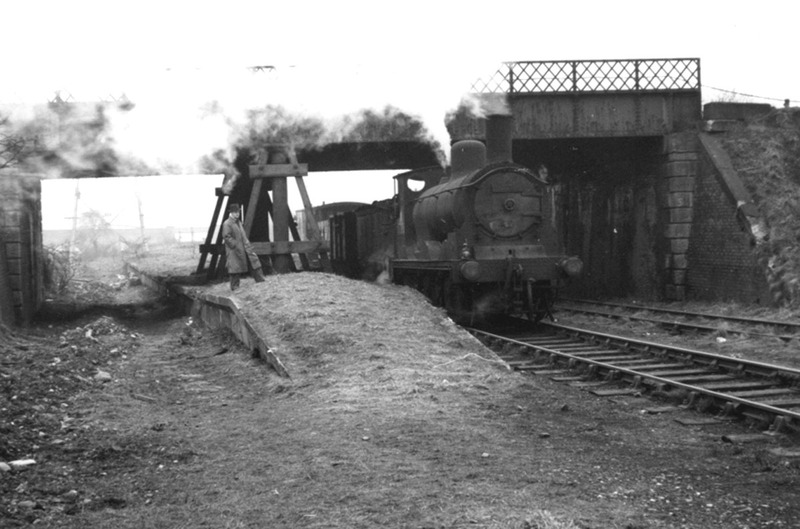 This was built along the route of the railway from Glenburn to Barrhead. Glenfield station was at the bottom of the hill, a short distance up Glenburn Road from where the cycle track ends. This seems to be the start of a bigger plan to link Foxbar and Hawkhead with a walking / cycling track. 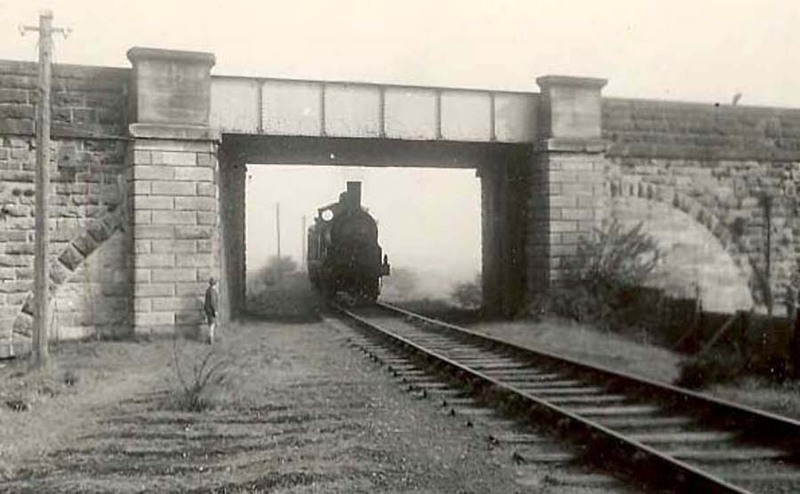 The second picture is the bridge where the line passed under Caplethill Road. The branch closed in stages. 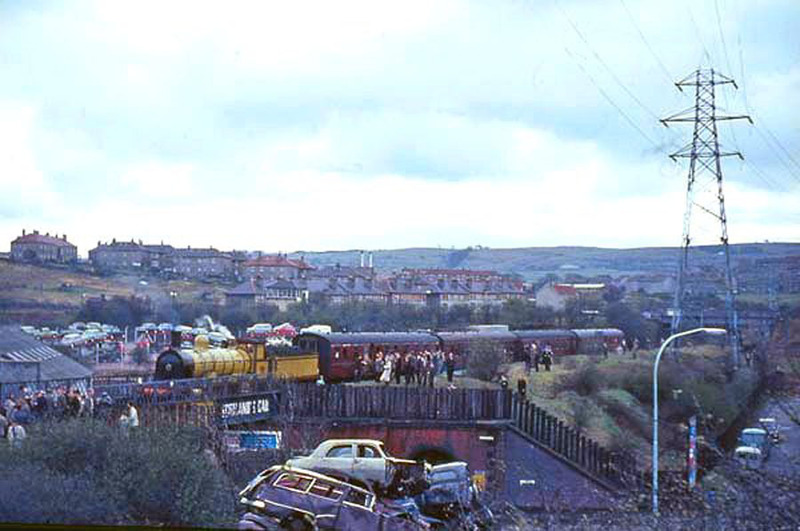 Meikleriggs Goods Yard on 6 September 1954, Ferguslie Chain Road on 28 October 1963, Rootes' Siding on 30 September 1968, Linwood 21 October 1984. Click below to go back to the other pages.